Happy New Year! I usually do these new year’s posts right around the turn of the year, either on New Years Eve or New Years Day. But of course life gets in the way, and so here is the annual New Years post delayed til the end of January. Better late than never I always say. I’m conflicted as to how I feel about 2014. For starters, we had another TF movie. Age of Extinction was quite the paradox in movie history. It was the highest grossing film worldwide for 2014, yet that the same time Rotten Tomatoes report a lowly rating of only 18%. And compared to previous movies, I would say that the AoE toys as a whole are rather disappointing. I think Hasbro recognized that most mainstream fans may be sick of another Michael Bay full-length feature, and in response did not make as many toys. Personally I don’t think I can take anymore “Bayhems”. I sincerely wish another director would take over the franchise. Asking for popular and proven sci-fi action directors, such as J.J.Abrams, Joss Whedon, or Christopher Nolan, is probably out of the question. And the movie studio would not want someone who would take a dramatic departure from what Bay has laid out. Though a little outdated, this article suggests 6 directors who could potentially take over the TF movie franchise. I would add Justin Lin (of Fast and Furious fame) and Brad Bird (Mission Impossible 4) to this list. 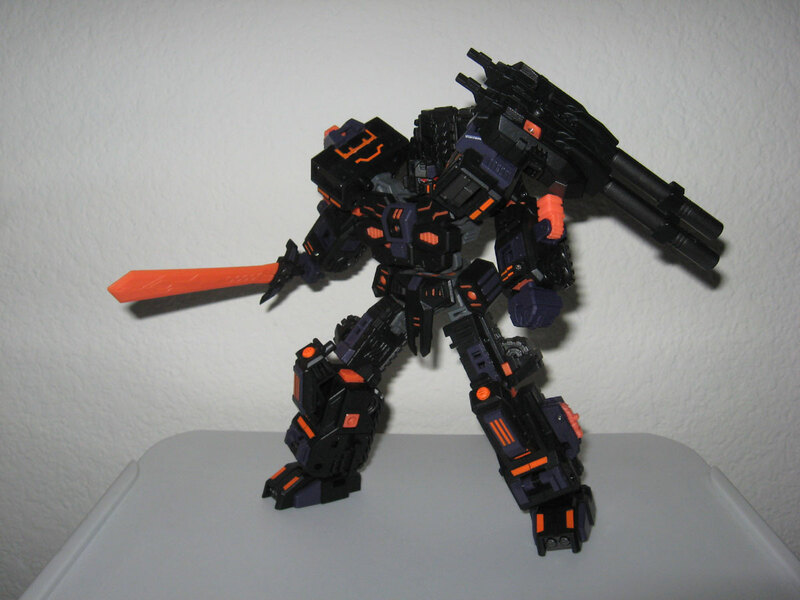 2014 also saw a record number of 3rd party transforming robots offered. 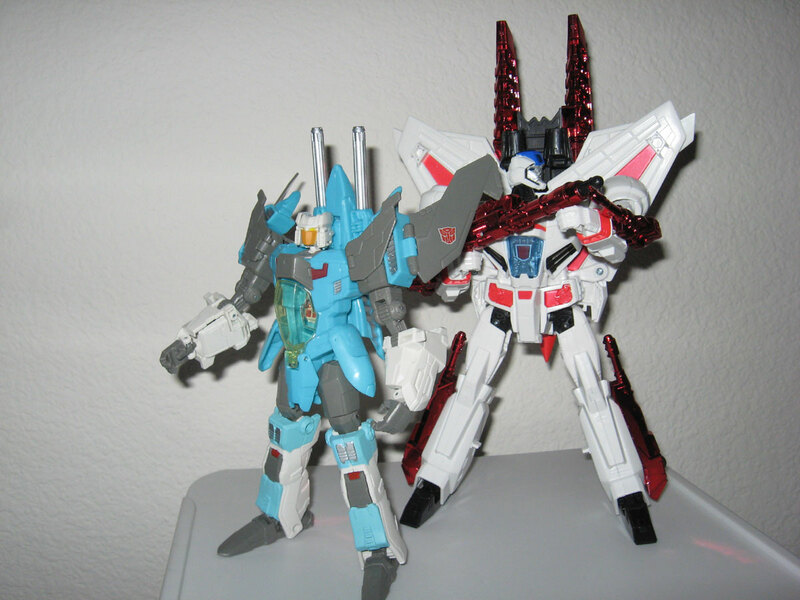 If you’re only into official Hasbro and Takara products, this wouldn’t matter to you. But if you’re reading this blog, chances are you are at least familiar with what I’m talking about. 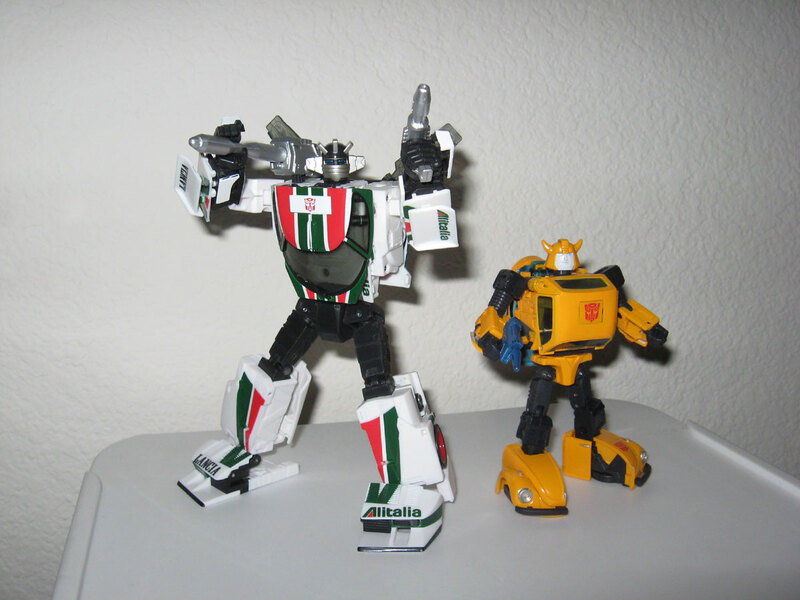 Just a few years back, all you had to know as far as the 3rd party scene was FansProject and TFC Toys. Those days are long gone. 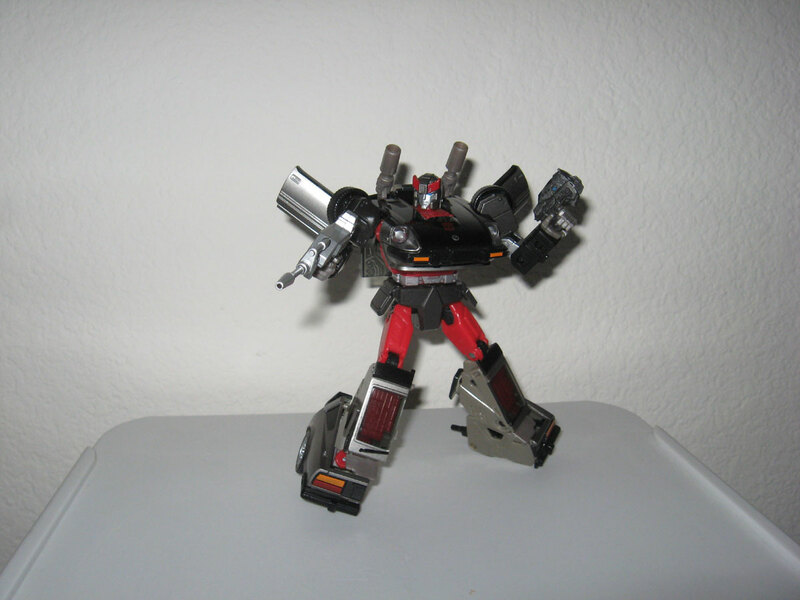 There are probably about 50 3rd parties out there, all doing its own thing and wanting a piece of your hard-earned TF dollars. And there appears to be no slow down. I sometimes fear that the market for 3rd party products are near saturation. Let’s face it: this is a niche market. Third party figs are expensive. Having so many companies vying for a piece of the pie… I don’t know how sustainable this is. That’s a grand total of 93 figures for the year. It comes to 7.75 figures a month. Just slightly more than 2013. Notice there are 25 3rd party products! 25! That’s gotta be a record for me. I wonder if this trend will continue in 2015. I’ll end this post with a few collection pics of some of my favorites from 2014. 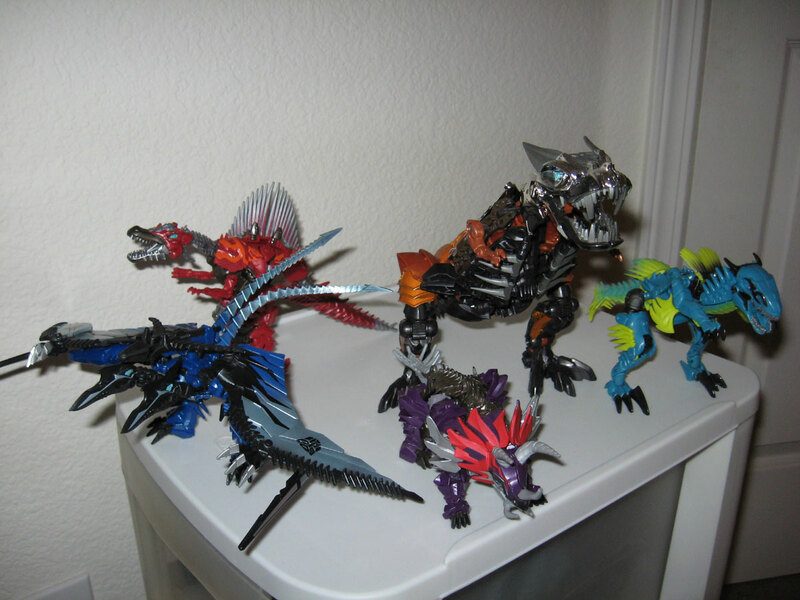 Age of Extinction Grimlock, Slash, Slug, Strafe, and Scorn. Masterpiece Streak. Released in 2013, but actively played with in 2014. Shown here holding his standard rifle and a pistol from a Gears of War figure that I no longer have. 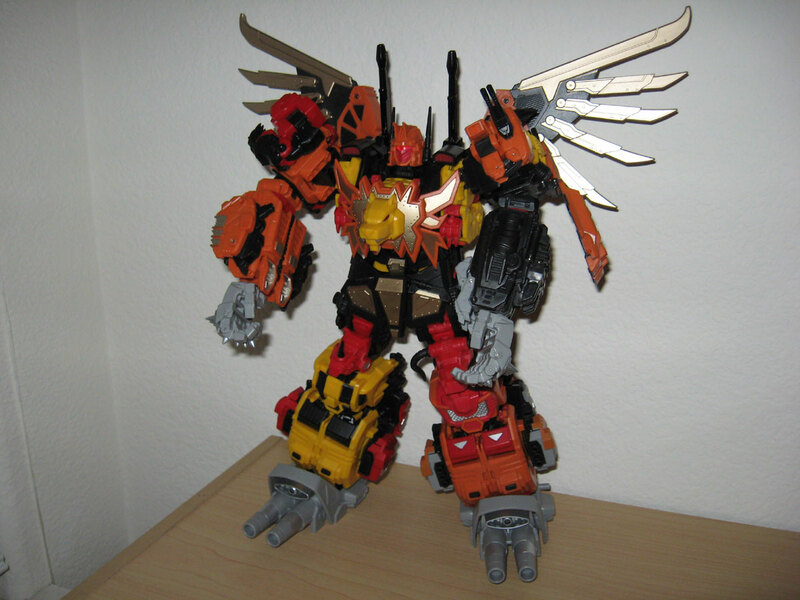 Mastermind Creations Feral Rex (Predaking), looking awesome combined! Happy 2015! 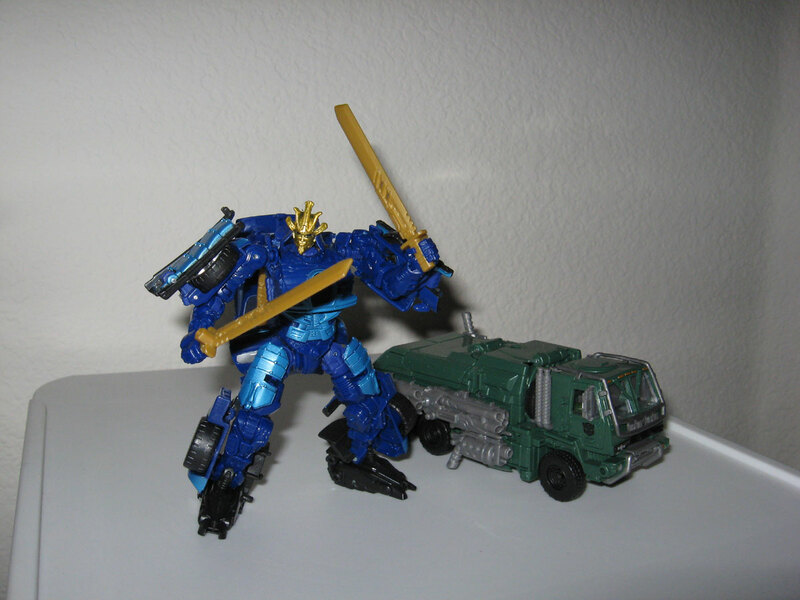 Transform and Roll Out!